Your regular hosts Ross, Tom, Caleb and Mike are joined on DreamPod 41 by Kris Genthe of awesome YouTube channel and website IMPLANTgames.com! This is a real treat of an episode for anyone who is interested in the finer details of XRGB-Minis, Framemeisters or talk of VGA displays as Kris really knows his stuff! Elsewhere the team discuss the best and worst of survival horror games, there's plenty of Warp and D2 chat, Ross confesses to being a Star Trek fan, Caleb wows everyone with his House of the Dead 2 Goldman impression and Tom bores everyone by going off on multiple tangents about Fur Fighters and D2 Shock. Oh, and there's a discussion about the best afros in Dreamcast games. 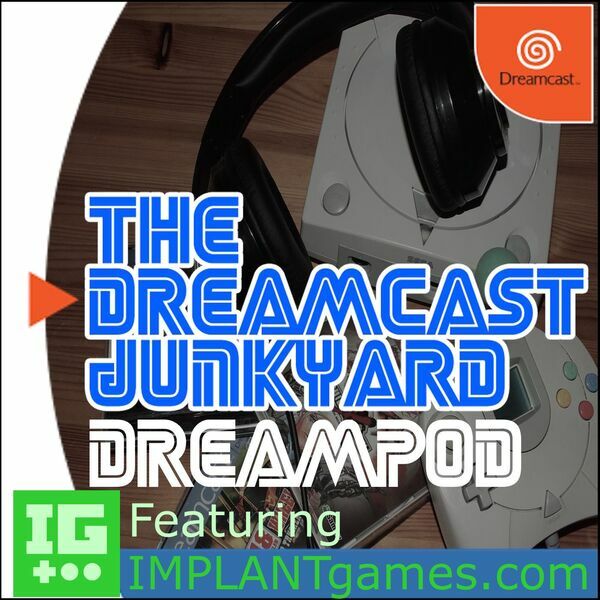 Remember to check out IMPLANTgames on YouTube and on the internet at large, and we hope you enjoy this latest episode!